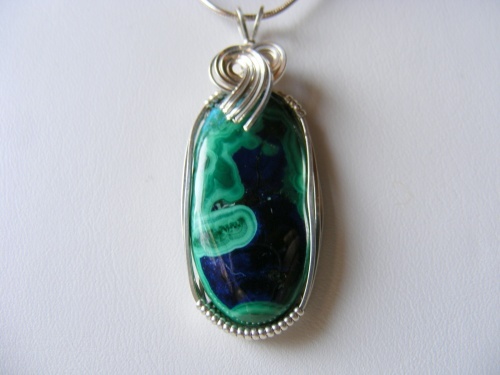 This exquisite Azurite gemstone has outstanding high quality markings of deep blue and malachite colors marbled on the stone. Stikingly gorgeous you will love wearing this stone. Sculpted in sterling silver, piece measures 1 3/4" long from top of bail to bottom and almost 3/4" wide. Comes with a sterling silver chain.